While most books about the financial industry and retirement planning stick to the brass tacks of explaining concepts and strategies, Ryan Skinner has taken a different approach in Taking Stock. Instead of complex financial jargon that makes your head spin as you attempt to understand the requirements of a secure retirement, important concepts are paired alongside anecdotes from the lives of his clients, celebrities, and even his own life to help explain retirement planning in an enjoyable and informative way. 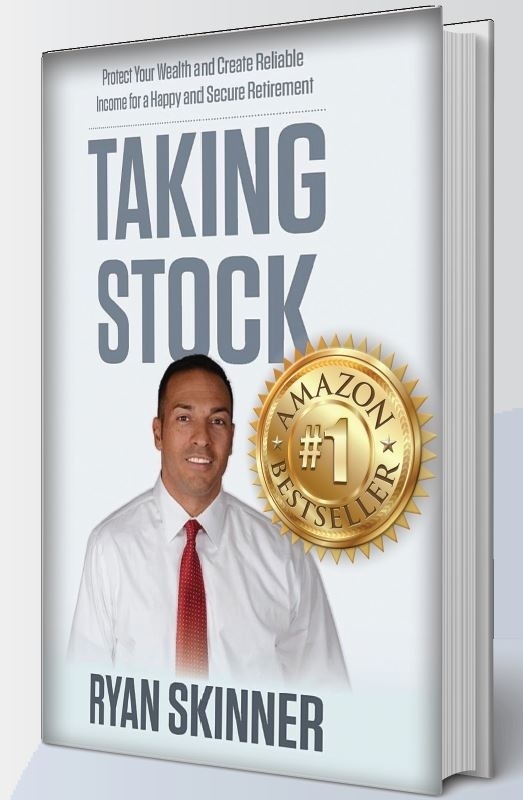 If you're uncertain about retirement, Taking Stock is the book for you. Ryan explains how to analyze future financial needs, secure definite sources of income (annuities and maximizing social security and pensions), prepare for worst-case scenarios with disability and long-term care insurance, guarantee your legacy with estate planning and asset distribution, and so much more. Remember, hope is not a plan. The best way to acquire worry free financial independence is taking action, and opening the pages of Taking Stock should be your first step!